Genesys Medical Institute Tired all the time? Lacking energy? Hormones all up and down? Consult Utah’s No.1 thyroid expert. At Genesys Medical Institute, you talk and we listen. We focus on symptoms by listening to your concerns to determine the most effective way to balance your hormone levels. 7525 Union Park Ave, Midvale, Salt Lake City, Utah 84047. 2008-2016 Completion of all 4 training programs with Worldlink Medical under world-renowned Bio-identical hormone pioneer Dr. Neil Rouzier. Jeff has worked with Genesys Medical Institute as a leading hormone doctor & thyroid specialist for about 10 years. 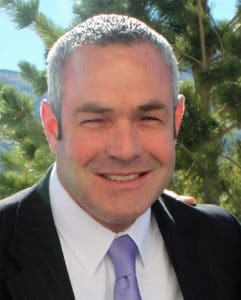 Jeff continues to work with Utah Wellness Institute on and off for approximately the last 10 years. Jeff has been married to his wife Karen for over 26 years and has 4 children all boys, 3 of which live with him at his home in Draper Utah. His 20-year old son is currently serving an LDS mission in the Canada Edmonton mission. Has Your Doctor Told You Your Thyroid is "Normal"? Have a Question about Bioidentical Hormone Therapy? SPECIAL: FREE HORMONE EVALUATION ($150 value). CALL (801) 671 7456 to book your free visit.